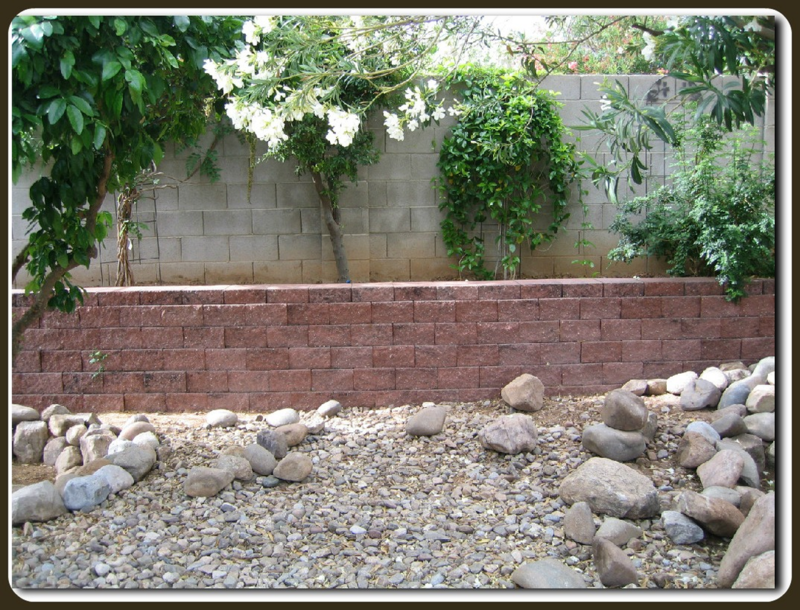 We can create a variety of beautiful block walls to suit your needs. 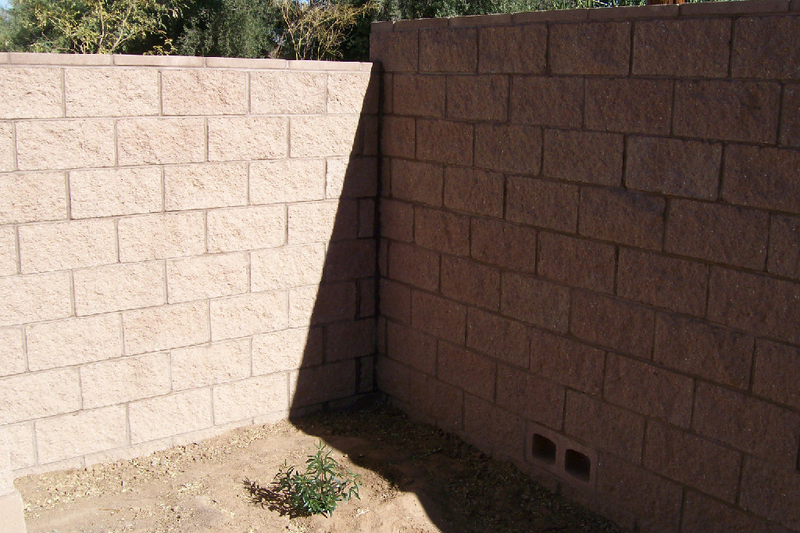 Our block walls come in various sizes: 4" X 8" X 16", 6" X 8" X 16", AND 8" X 8" X 16". 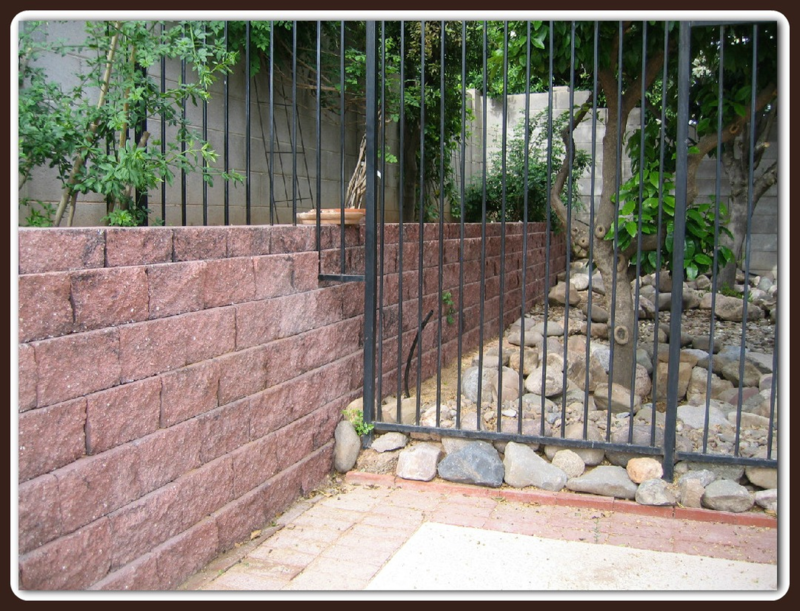 We also construct slump block walls, stucco walls and stone walls. You choose the color and cap of your wall, based on the block size. You can even mix colored blocks to create beautiful patterns. Our most popular block size is 6" x 8" x 16" with several choices of colors, texture variations, and caps. Click on the thumbnails below for individual types/sizes or select from the Block Walls pull-down menu above to see photos and descriptions of our walls. We also have a Block Walls Gallery to view if you have trouble loading the slideshow. All block walls can be stuccoed and/or painted. Using one of these coats means you will have to maintain the wall. Paint does have a lifespan. 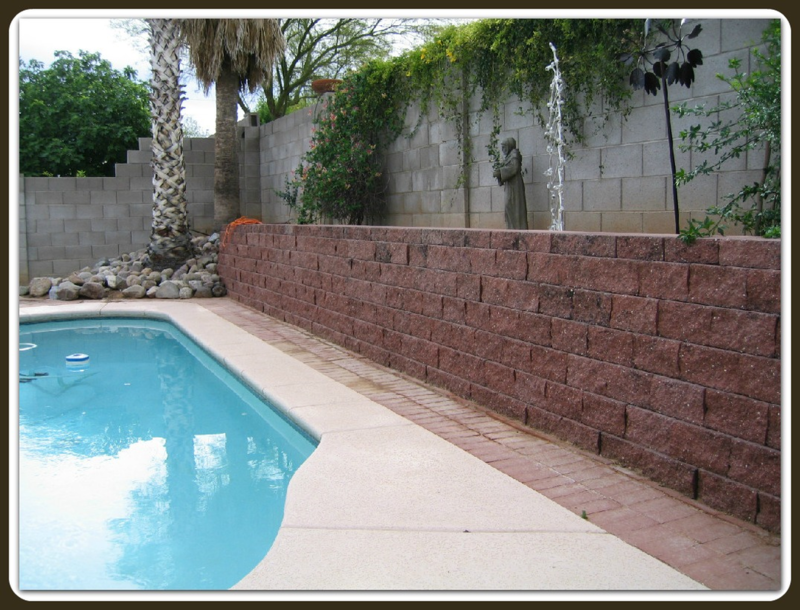 All masonry expands and contracts with the extreme Arizona temperatures. Stucco walls may show signs of hairline cracks or control joints that crack. Control joints are vertical breaks in the wall generally every 20 feet. They run from top to bottom of the wall and are required for thermal movement of the wall. They allow the wall to expand and contract without doing any structural damage to the wall. When painting your basic block or stuccoed wall, choosing a quality paint is just as important as your choice of masonry contractor. Patience is an important factor by letting your block wall or stuccoed wall dry before painting. It helps lengthen the life of your paint. 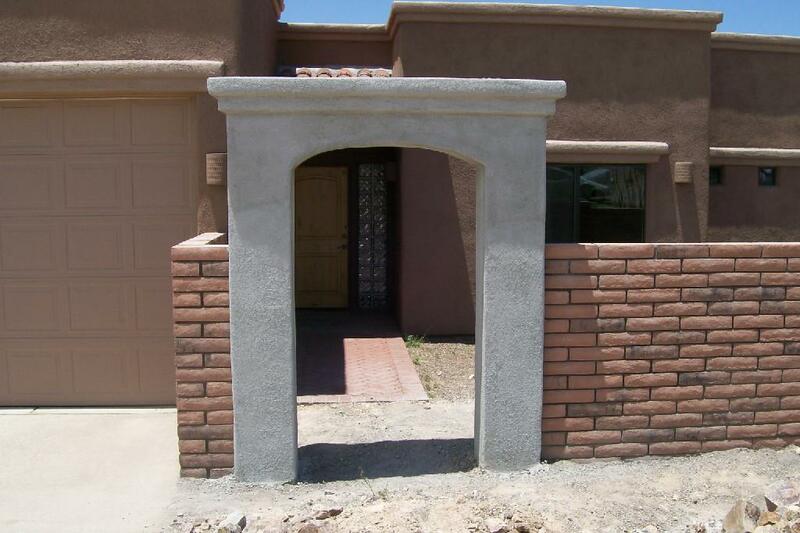 Old Pueblo Masonry does provide this service. 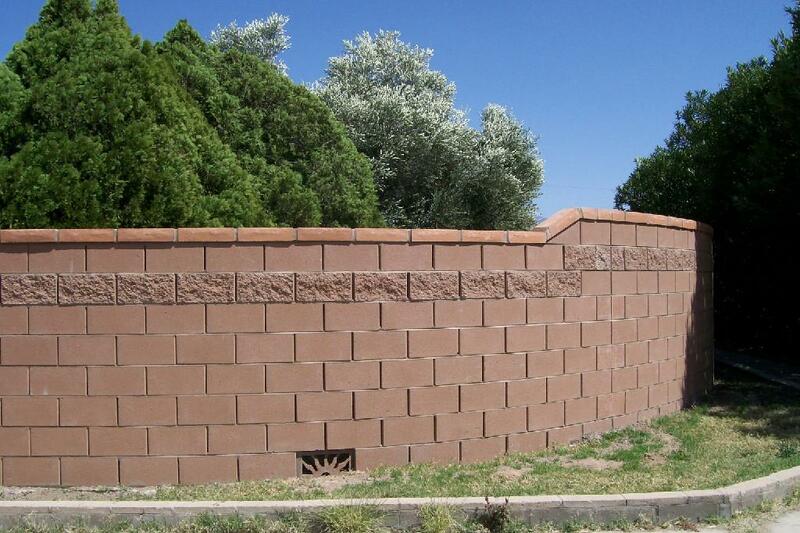 Old Pueblo Masonry wants you to be able to make an informed decision about the wall you purchased. Regardless of the company you choose to build your wall, there are certain things you should know about masonry work. See our "tips" to assist you in making a wise, informed choice. To view our wall offerings, under each category below, click on the thumbnail photo to open the slideshow. You will find many photos of our work. Or, go to the top of this page under our header and select the pull-down tabs under "block walls". To view the stucco and stone walls, select the tabs across the main menu under our logo banner.